Ah, Noel Coward’s Brief Encounter! An achingly realistic portrait of the repressed, thwarted love of Laura and Alec, two grown-ups too fundamentally good and decent to act on feelings that are stronger and deeper than any they have ever known. Now imagine that Alec had grown sick and tired of being so damn noble and dependable and had given in to his every urge, and to hell with the consequences. That’s pretty much what happens, with dreadful results, in The Astonished Heart, the 1950 film version of Coward’s play. Even some of the cast of David Lean’s classic show up here three years later—though this time around, Celia Johnson is the betrayed wife rather than the woman who’s tempted to stray. And Joyce Carey is the sympathetic secretary rather than the fussy matron at the railroad lunch counter. The Astonished Heart began life as part of Coward’s Tonight at 8:30, an anthology of 10 works performed over three nights. 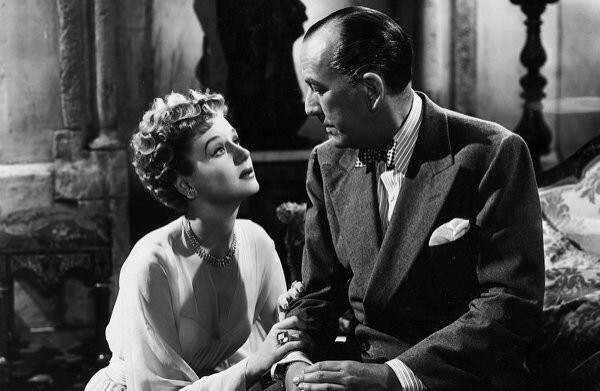 Coward starred with Gertrude Lawrence in the original stage production in 1935, and he took over the lead in the film after Michael Redgrave bowed out. On the rare occasions this movie is discussed at all, the talk usually turns to how miscast Coward was—too fusty and dusty and altogether improbable as Dr. Chris Faber, a renowned, respectable psychiatrist who becomes obsessed with the wild, impetuous Leonora Vail (Margaret Leighton), an old school friend of his wife Barbara (Celia Johnson). But Coward’s discomfort, his awkwardness, is part of what makes the whole thing work for me. This is a man who has lived entirely in his head, viewing passion as a disorder to be diagnosed and cured rather than an emotion to be felt and explored. He believes that to be swept away is to be lost. And for him, that turns out to be tragically true. As you’d expect from Coward, this is also a keen study—a warning, even—of how horribly things can go wrong when two people take each other for granted and no longer see each other, or even themselves, for everything they truly are. 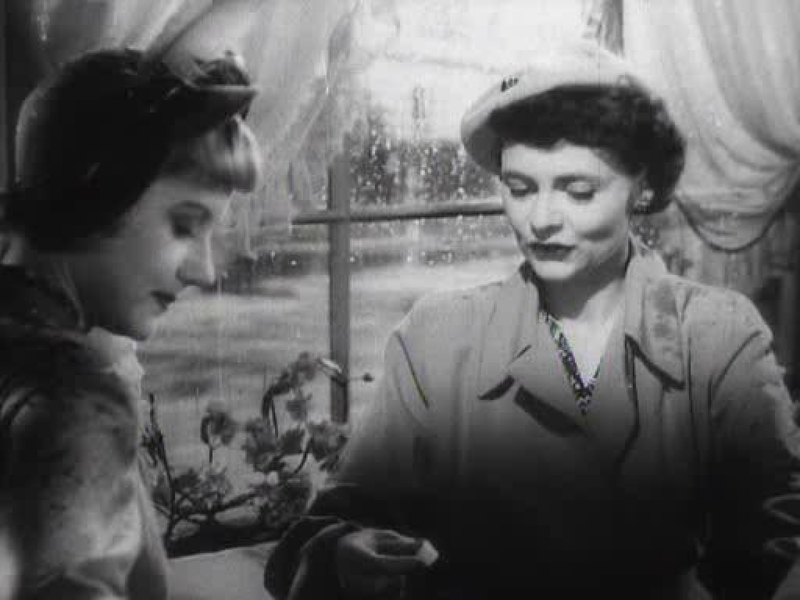 Early on in the film, Leonora asks Barbara about her husband: “Tell me seriously, do you adore him?” Seeming amused at the very thought, Barbara replies, as if correcting a schoolchild, “I love him very much.” And that’s the end of that. Soon after, Barbara is called away to her mother’s, and Chris steps in as a last-minute substitute to accompany Leonora to the theatre. While they don’t strike any romantic sparks, Leighton and Coward do have an odd chemistry. You can see how this guarded, buttoned-up man would be drawn to such a free spirit, and how she would take it as a personal challenge to loosen him up and win him over. If only it had stayed so playful. The trip ends about as well as you’d expect it to—actually worse. This is all foretold in the opening scene, as the movie unfolds in flashback. The Astonished Heart was co-directed by Anthony Darnborough and Terence Fisher; the latter went on to become one of Hammer Films’ most prolific horror directors, but little of that crisp pacing is present here. It’s a bit plodding at times: First we’re here. Then we’re here. Now we’re over here. But it was written by Noel Coward and features the luminous, doe-eyed Celia Johnson and the brittle, vulnerable Margaret Leighton. When they made her, the mold simply broke on its own, as it was a bit fragile to begin with. Actually, Johnson and Leighton have the best chemistry of any two people in the film. If the whole thing had focused on these two gorgeous, elegant, altogether fabulous women getting caught up on their schooldays, I would’ve been perfectly content. Both are in their absolute prime, and Leighton’s sly edginess plays off Johnson’s natural kind-heartedness beautifully. Also featured in the cast, as Chris’s assistant, is Graham Payn, Coward’s real-life companion. How differently he might have written The Astonished Heart today. The film is a perennial Instant Play on Netflix; I know because I’ve watched it about eleven times. But it could use a little more love. Please give it a look—and then tell me what you think of it! ← TORCH SONG: Joan Crawford in Blackface—And That’s Not All! I’ve never seen this one. Now, I want to. Leah, I think you’ll like this one too. Please tell me what you think if you watch it!! I really wish The Astonished Heart was better known. It really is worthwhile to see! And I have to agree with you about Noel Coward. I think his discomfiture really fit Dr. Faber! Thank you so much for participating in the blogathon! Thank you for hosting it, Terry! I am relatively new to all this — just started in April — and you’ve introduced me to some great new writers. Thank you again! But if you love Brief Encounter, this really is a bracing flip side… please let me know what you how you like it if you give it a try! Nice touch to start the post off with a Brief Encounter comparison. Sounds like the theme of unexpected, tragic passion appealed to Coward. It’s always good to see someone using a blogathon to shine a flashlight on lesser-known films. I’ll make sure to check this one out at some point. Thank you for your kind words, Aubyn!! If you watch The Astonished Heart, please let me know what you thought of it! I wonder if the theme of thwarted love appealed to him because he himself couldn’t live openly with a partner, which is heartbreaking. I love, love, love Brief Encounter and have never heard of The Astonished Heart! Thanks for this review and I’ll be looking for it on Netflix. Thanks for a great review, and yeah, I’m not convinced Coward should have played the lead…I’d lean towards a hunky Brit guy more, I suppose, but I’m ready to give Coward a chance. Thank you for your kind words, Jenni! And please let me know what you think of The Astonished Heart. Judging from the other reviews I could find of the film, I’m definitely in the minority when it comes to thinking that Coward’s awkwardness somehow worked in the part. But I also could have pictured someone hunkier. In fact I was wondering what Trevor Howard would have done with the role! And how odd would that have been — to see him married to, and cheating on, Celia Johnson?!? Oh, the heartbreak!! I enjoyed your very witty post on this movie, which I recently saw at a Film Forum showing. 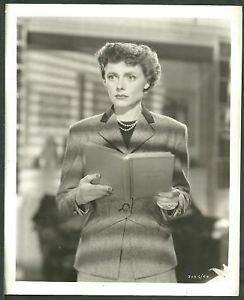 Like you, I had the same reaction about Celia Johnson learning of her husband’s affair, that she should have taken MUCH firmer measures with him, rather than meekly suggest he go off on an expensive European vacation with his girlfriend to get the whole thing out of his system. I remember thinking that she should have socked him in the kisser. But, on reflection, I think your frying-pan suggestion a far better one — it would make so much more of an impact!